Nintendo CEO Satoru Iwata kicked off the splurge of Wii U information that is set to be announced today, announcing that the console will launch across Japan on December 8th. There will be two SKUs available, differentiated by their contents; a Premium model, priced at 31,500 yen (£250) that will offer 32GB built-in flash memory and a Nintendo Network Premium subscription (providing 10% discount on downloadable software for a year), whereas the Basic model, priced at 26,250 yen (£209) will grant 8GB internal flash memory. 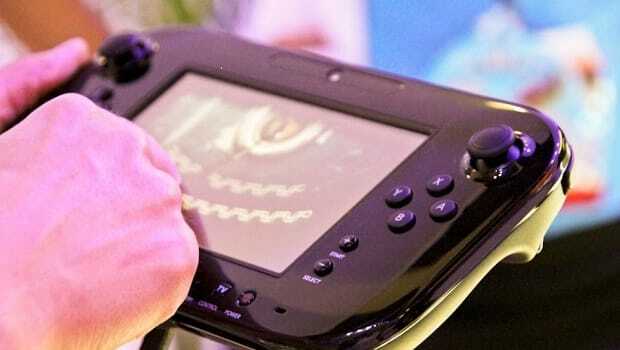 Similarly, the Wii U GamePad will be sold in Premium and Basic packages, the latter not including an AC Adaptor. Wii U’s proprietary discs can hold 25GB with data read at a speed of 22.5MB/s, and the console has 2GB memory processing – 1GB system memory, 1GB game memory. Nintendo will also bundle a Wii Remote Plus, Nunchuk and Sensor Bar at retail, which will surely be beneficial for those that require them. New Super Mario Bros. U and Nintendo Land will also simultaneously be available at retail and download, and neither will be bundled with the console.